Even though, in an interview this week, President Trump appeared to absolve Russia of election interference (since retracted), the US Department of Justice has now charged 12 Russian intelligence officers with hacking Democratic officials in the 2016 US elections. It is alleged by the US Justice Department that, back in March 2016, on the run-up to the presidential election campaign which saw Republican Donald Trump elected as president, the Russian intelligence officers were responsible for cyber-attacks on the email accounts of staff for Hillary Clinton’s Democrat presidential campaign. Also, the Justice Department alleges that the accused Russians corresponded with several Americans (but not in a conspiratorial way), used fictitious online personas, released thousands of stolen emails (beginning in June 2016), and even plotted to hack into the computers of state boards of elections, secretaries of state, and voter software. The Kremlin is reported to have said that it believes there is no evidence for the US allegations, describing the story as an “old duck” and a conspiracy theory. The latest allegations are all part of the investigation, led by Special Counsel Robert Meuller, into US intelligence findings that the Russians allegedly conspired in favour of Trump, and that some of his campaign aides may have colluded. So far, 32 people (mostly Russians) have been indicted. 3 companies and 4 former Trump advisers have also been implicated. President Trump has dismissed allegations that the Russians help put him in the White House as a “rigged witch hunt” and “pure stupidity”. 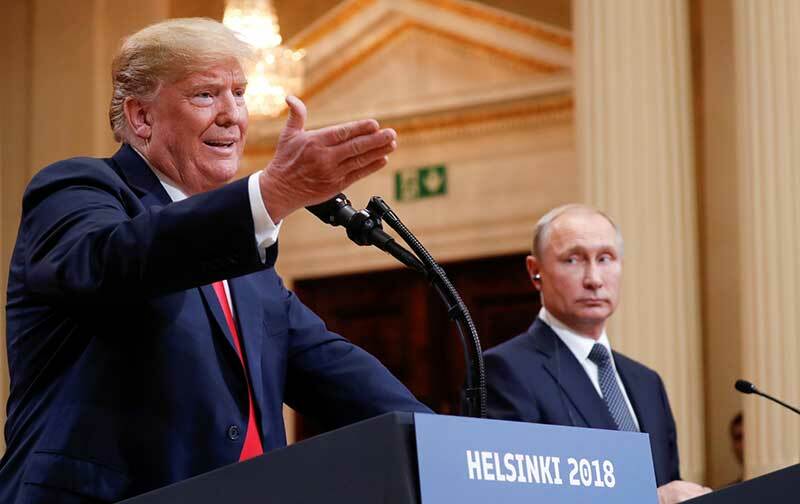 In a press conference after his meeting with Russian President, Vladimir Putin in Helsinki, President Trump, however, caused shock and disbelief when asked whether he thought Russia had been involved in US election interference, he said “I don’t see any reason why it would be”. Following widespread criticism, he has since appeared to backtrack by saying that he meant to say “wouldn’t” rather than “would”, and that he accepts his own intelligence agency’s findings that Russia interfered in the 2016 election, and that other players may have been involved too. Part of the fallout of constant struggle between states and super-powers are the cyber attacks that end up affecting many businesses in the UK. Also, if there has been interference in an election favouring one party, this, in turn, affects the political and economic decisions made in that country, and its foreign policy. These have a knock-on effect on markets, businesses and trade around the world, particularly for those businesses that export to, import from, or have other business interests in the US. Even though, in the US, one of the main results of the alleged electoral interference scandal appears to have been damaged reputations and disrupted politics, the wider effects have been felt in businesses around the world. 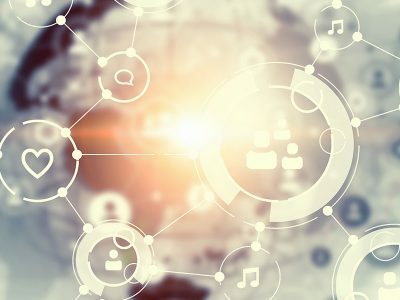 These matters and the links to Facebook and Cambridge Analytica have also raised awareness among the public about their data security and privacy, whether they can actually trust corporations with it, and how they could be targeted with political messages which could influence their own beliefs.